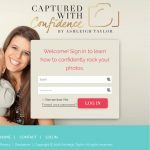 Captured With Confidence is a membership site selling a course on becoming a better photographer. The design for this project was done by another designer, and I was given the PSD to turn into the membeship site. 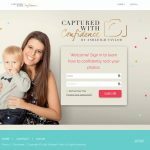 Designs were developed for the login page, member welcome page (the course dashboard) and individual course lesson pages. We used Wishlist Member for the course content, including weekly content drips. The child theme is based on Inti Foundation.